How Working With Micro-Influencers Can 10X Your Sales! Looking for ways for your influence marketing campaign to gain more traction? Mainstream celebrities and top influencers may be able to build better brand awareness with their massive following. But there’s an entire group of influencers who may have a better influence on your target audience’s purchase decisions. This group comprises of micro-influencers, who have significant following and higher engagement rates than top-level influencers. If you haven’t heard about them or are unsure about working with them, read on to find out some useful facts and ideas to leverage your influence marketing campaign with their help. Micro-influencers are individuals who have significant reach with the ability to impact people’s opinions about a brand or product. They aren’t traditional celebrities and may not be top-level social media influencers, but they are knowledgeable in their niche. These micro-influencers are often seen as people who can provide authentic, unbiased opinions about products. This means that their audience looks to them as a trusted source for getting recommendations on what to purchase and what not to purchase. A lot of social media influencers fall under this category, but not all micro-influencers are social media influencers. They may be influential in a work setting, like a top-performing colleague or an individual in a leadership position, for example. However, this article is mainly going to talk about social media influencers and how you can integrate them into your social media marketing plan to boost your influence marketing campaign. Now celebrities like Kylie Jenner may have massive reach with millions of followers. But are you going to trust her recommendation over that of a friend or even a mid-level social media influencer? Consider getting a product recommendation from a mid-level beauty blogger that you’ve been following for months. If you’ve always looked to her for beauty tips and regularly check on her updates, there’s a huge chance you’re going to trust what she says about a certain line of beauty products rather than what Kylie says about that product. There is such a thing as “being too famous”. What’s the Big Deal With Micro-Influencers? You may have seen several online articles talking about “the rise” of micro-influencers. If you’re wondering why exactly you should work with a mid-level social media influencer, you’ll find several studies in favor of the option. Expertcity conducted an extensive study regarding this group of influencers and their impact on consumers’ purchases and brands’ conversions. According to the study, sporting goods and outdoor gear receive the most recommendations from micro-influencers. #1. 82% of consumers say they’re highly likely to trust a recommendation from a micro-influencer, while 73% say they’re highly likely to trust the recommendation of an average individual. This means that micro-influencers could prove to be more effective for conversions than brand advocates, although the latter are highly valuable assets. Using both in your social media marketing plan could result in huge returns. #2. Micro-influencers engaged in “buying conversations” 22.2 times more than an average consumer on a weekly basis. These conversations often include product recommendations. So your conversations with a fairly influential individual are more likely to include recommendations for products as compared to your conversations with a regular individual. #3. According to the study, 94% of respondents said that micro-influencers were more credible and believable in addition to being more knowledgeable in the given category. So you see why mid-level social media influencers are more likely to be trusted for product recommendations when compared to the general public or even top-level social media influencers. #4. The study also found that 92% of consumers felt micro-influencers were better at explaining how the product works or how it can be used. While this is highly applicable in a work setting, you have probably seen “how-to” videos and tutorial posts from mid-level social media influencers. You might have noticed that they’re able to clearly explain the working of a product in a fun and interactive way, making them a crucial part of your social media marketing plan. These figures and stats from Expertcity’s study already show how significantly micro-influencers could impact your social media marketing plan. But some more findings from Markerly further strengthen the case for micro-influencers. The previous data reveals stats from a general setting and not just within social media, but this Markerly study focuses on Instagram influencers. So this could prove to you how implementing influence marketing with micro-influencers in your social media marketing plan can help you in engaging and reaching out to your target audience. #5. More followers translate to decreased likes for social media influencers. Users with fewer than 1,000 followers were able to get about 8% of likes for their posts, while those with more than 10 million followers managed to get likes only 1.6% of the time. This means that an increase in the number of followers correlates with a decrease in the number of likes for posts. #6. More followers translate to fewer comments for social media influencers. The study also found that users who had fewer than 1,000 followers were able to generate comments approximately 0.5% of the time. For big-time social media influencers with more than 10 million followers, they only received comments 0.04% of the time. So this means that micro-influencers are almost 13 times more likely to generate comments than top-level influencers. So you see that there are several facts and figures making a case for mid-level social media influencers. In addition to this, Instagram recently made changes in its algorithms displaying posts from accounts you interact with the most towards the top. The decision to make these changes was fueled by the fact that the average user misses at least 70% of posts on their feed. Considering the fact that there are more than 400 million users who regularly visit the platform, there was a compelling need to change the chronological timeline. These changes now allow users to avoid missing posts made by the accounts that they relate with and often interact with. So posts from users you have the closest relationships with will be more visible than recent posts from users you hardly interact with. This means that there could be a higher visibility (and eventually higher engagement rate) for posts from mid-level social media influencers. Now you’ve got a fair idea how effective micro-influencers can be for your influence marketing campaign. While this is the case, many marketers are still hesitant to work with micro-influencers mainly due to the fact that they don’t have as much reach as top-level influencers. Perhaps this is the main challenge of working with social media influencers who don’t have as much reach as mainstream celebrities. If your brand is just targeting influencers with massive reach, the engagement rate may not be too important for you. So you’re going to work with top-level influencers and celebrities that can bring you brand exposure. However, a massive following doesn’t necessarily translate to better conversions. This is why many companies look for the right balance of engagement and reach when launching an influence marketing campaign. The Markerly team recommends working with social media influencers who have somewhere between 10,000 and 100,000 followers. Those in this range were able to generate likes about 2% of the time, so you’re likely to get a minimum of around 200 likes for content generated through them. If you manage to work with social media influencers with about 100,000 followers, you should be able to get somewhere around 2,000 likes for content generated through them. In case you’re more focused on engagement than brand exposure, you could adjust your choice of social media influencers and opt for those who have somewhere around 1,000 and 10,000 followers. The Markerly graph shown earlier displayed that social media influencers in this range were able to generate likes on their posts around 4% of the time. These micro-influencers tend to be highly engaged with their followers and have the ability to generate comments more than 0.2% of the time. Additionally, the limited reach of micro-influencers may compel many brands to work with several of them at once. This could prove to be time-consuming and difficult to manage as you have to keep track of the activity and impact of multiple social media influencers at a time. In such cases, you can make use of influencer engagement tools that will help you streamline your influencer management and keep track of their activities more effectively. You understand how micro-influencers can significantly leverage your influence marketing efforts and improve your social media marketing plan. But how exactly do you launch a campaign that works for both you and your influencer? This is one of the steps where a lot of brands face challenges as they’re unable to determine the right type of campaign that stays true to the values of both their brand and their influencer. In many cases, they may be unable to come up with an influence marketing campaign that truly engages their target audience. What’s a better way to get people to buy something than giving them special discounts? Influence marketing campaigns often incorporate discount codes exclusive to certain influencers. These social media influencers then promote the codes to their host of followers, encouraging them to make a purchase so as to avail the limited time offer. Considering the high level of engagement micro-influencers often receive, working with them to promote special discount codes could be a great way to drive conversions. Another reason why this works so well is because you’re giving something to the customers. You’re giving them an exclusive discount through the social media influencers, which can create a desire in them to grab the offer. 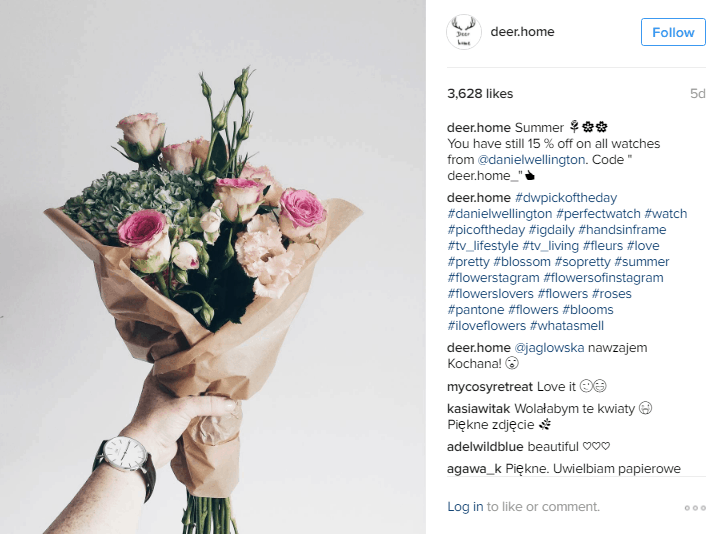 Social media influencers like Paulina of @deer.home have managed to master the art of promoting discount codes for brands. She posts beautiful images of her wearing Daniel Wellington watches and then gives her followers the discount code for 15% on the watches. As you can see in the image below, the product is placed in a natural setting where Paulina shows off a bouquet of flowers and she’s wearing the watch. This makes the influence marketing campaign seem authentic and not too pushy. Having more than 51,000 followers on Instagram, she’s able to generate thousands of likes for her posts. Have you considered how many consumers are putting off purchasing a product because they’re not sure whether or not to trust it? Your advertisements and claims may not be enough to encourage people to buy your product. Many consumers usually trust mid-level social media influencers to give unbiased and honest opinions about products. So getting micro-influencers to review your product could help you win over this group of consumers. Whether you work with influential bloggers or vloggers, review content is usually a crucial part of an influence marketing campaign. In addition to winning over the existing followers of those social media influencers, the review content could be highly useful for shoppers who are on the lookout for honest and useful reviews of your product. With the quality and quantity of comments and likes micro-influencers often receive, those shoppers are more likely to trust the review content. YouTuber J2JonJeremy with 40,000 + subscribers frequently uploads videos showing the gameplay of new video games. This gives viewers an insight into what the game looks like when it’s played and is a great way to give them a taste of what your product is like through the opinion of someone they trust. 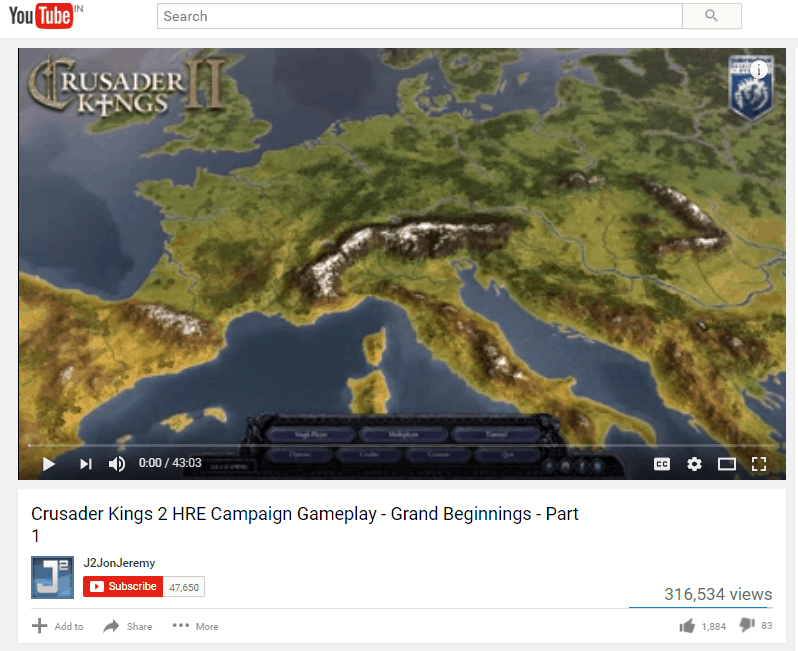 His Crusader Kings gameplay video managed to get more than 300,000 views. By giving an interesting view of the gameplay for a certain video game, this micro-influencer encourages viewers to purchase the game. He gives them an affiliate link in the video description, through which they can go ahead and buy the game. As mentioned earlier in the Expertcity study, social media influencers are considered to be better at explaining how a product works or how to use it. Getting micro-influencers to provide tutorials and how-to contents for your product is an essential part of your social media marketing plan. This is especially true in the case of products that require a bit of guidance to use. What if loyal fans had been putting off buying the product because they weren’t sure how to use it or how it can work for them? Gaining a better understanding of how the product works is going to compel consumers to buy the product especially if it’s a bit difficult to understand. Micro-influencers usually create their tutorial content in a way that would appeal to their followers and helps them understand a concept better. So you can work with them to leverage your influence marketing campaign through compelling and useful tutorial content. Here’s a great example of using tutorial videos in your influence marketing campaign. YouTuber EposVox has just over 43,000 subscribers. 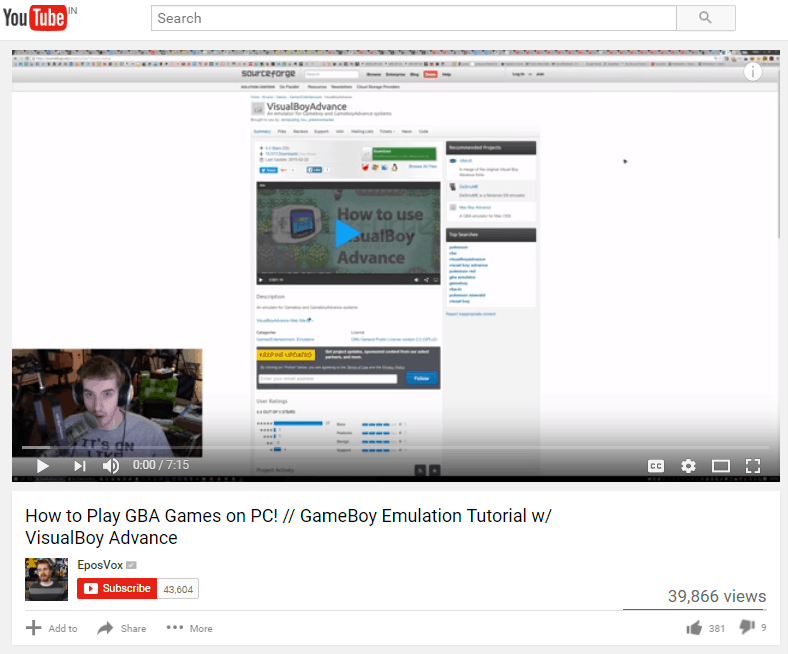 He provided his subscribers with a video tutorial guiding them on how to use VisualBoy Advance to emulate Gameboy games on the PC. The video was viewed almost 40,000 times. 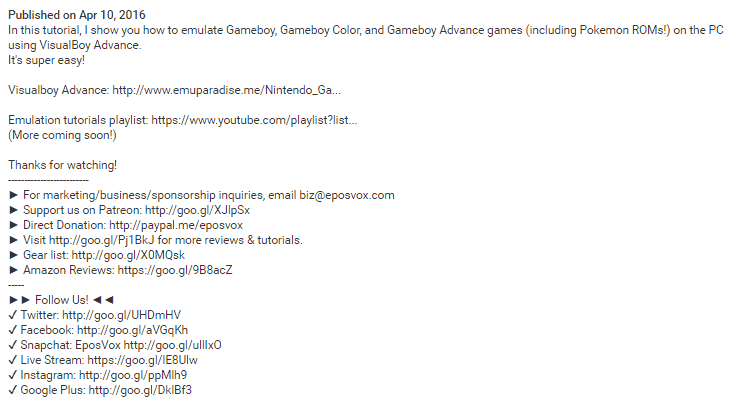 He further provided subscribers with a link to purchase the VisualBoy Advance and put the tutorial to good use. In some cases, simply sending social media influencers some free gifts of your products could be a great way to get more conversions. Some micro-influencers have the ability to influence the purchase decisions of their followers through pictures of product alone. If your products are visually appealing, this could be especially effective although you won’t have to put in too much effort into your influence marketing campaign. 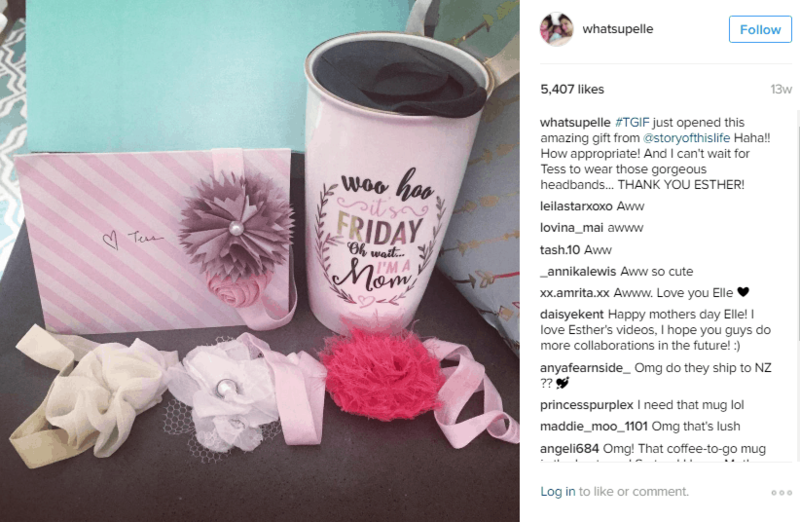 Let’s take a look at the example of mommy vlogger Elle of @whatsupelle (70k + followers), who received some gifts from mommy blogger Esther of @storyofthislife. Esther runs a website that provides useful tutorials for DIY projects and is a social media influencer herself. By simply posting an image of the gifts she received from Esther, Elle was able to generate more than 5,000 likes for the post and several inquiries about the items. Although this isn’t exactly a micro-influencer promoting a brand, it’s still an excellent example how just one picture of products can lead to purchase inquiries. You can employ this technique and send some samples of your product as gifts to social media influencers relevant to your niche. By simply posting images of the gifts, micro-influencers should be able to get people to enquire about your products and eventually result in a purchase. Another way for social media influencers to show off your product is by posting images of themselves using the product. They have the ability to place the product in a setting that seems natural and casually mentioning your brand name. This tends to make the promotion more trustworthy and authentic as compared to how many top social media influencers post content that seems too staged and sponsored. 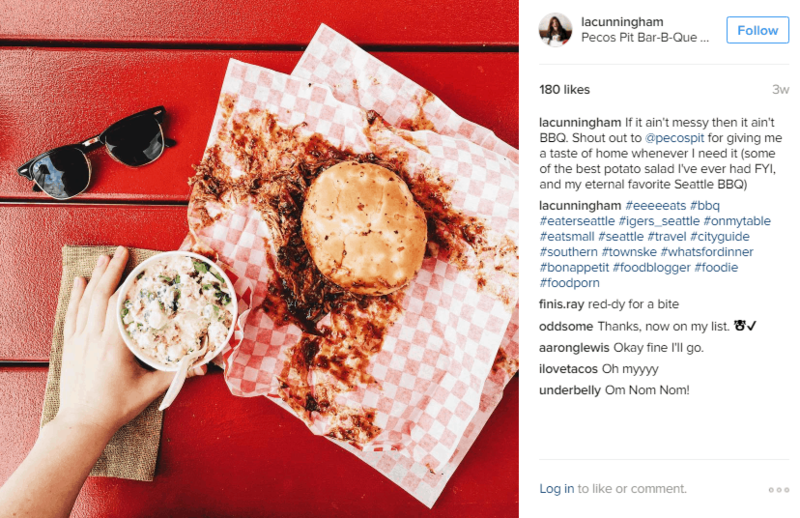 You can take the example of how food blogger Lauren Cunningham of @lacunningham posts inviting images of food in her Instagram. If you take a look at the image below, you can see that she’s mentioned the name of the place where she got her drink from along with the flavor description. She doesn’t go on and on about how great it is but simply uses one line to describe her experience drinking it. Here’s another image she posted where she raves about a certain restaurant and describes her experience in a way that’s relatable and authentic for her audience. This is an excellent example of influence marketing as she subtly mentions the food that she likes from the place. With more than 15,000 followers, Lauren is able to generate several likes and comments for each of her posts. If you’re a marketer, you’ve probably heard of unboxing events where celebrities or social media influencers post images or videos of them unboxing a gift from a brand. When working with micro-influencers for your influence marketing campaign, this type of content could be a great way to introduce people to your brand and products. An unboxing event is a great idea because the influencer will be selling their experience of opening the gift from you, making their followers feel included. To promote viewership and engagement for this unboxing content, you can even create contests or host giveaways for free sample products. This is a great way to further leverage your influence marketing campaign, as consumers will have a firsthand experience with your product and better engage with your brand. This could eventually boost conversions, as customers who tried and liked your product will be more likely to buy it again than those who’ve never heard of it. 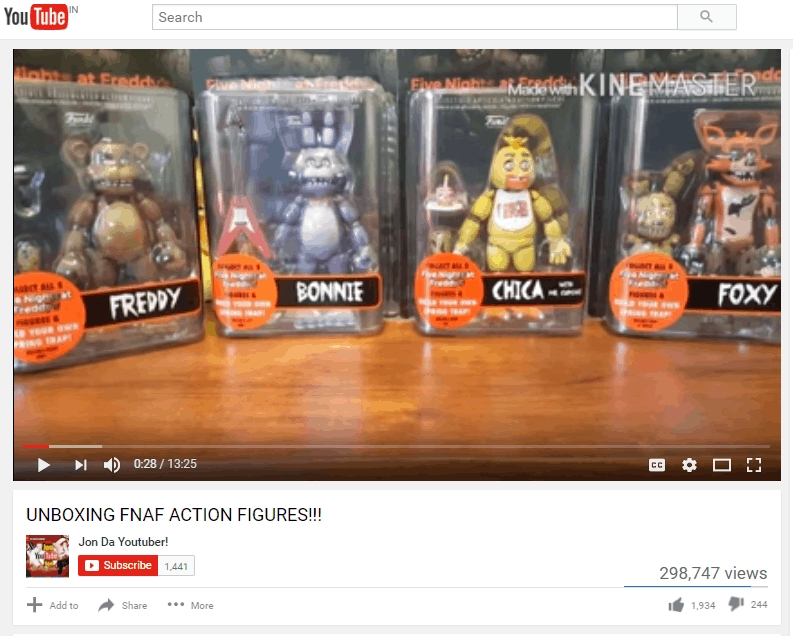 An excellent example of an unboxing video from micro-influencers is the Five Nights at Freddy’s action figure unboxing video made by Jon the Youtuber! Although this YouTuber only has about 1,400 subscribers, the unboxing video received almost 300,000 views. So now you’ve got a fair idea about working with micro-influencers to optimize your social media marketing plan and build a better influence marketing strategy. Your next step would be to find the right social media influencers that could help you achieve your goals and pull off the perfect influence marketing campaign that boosts conversions. If you have any questions about influencer marketing and how to work with micro-influencers, feel free to share your thoughts in the comments below. Fantastic post! Micro-Influencer marketing will get a great boost in the upcoming months. Great article. Thanks for sharing, Shane. True. 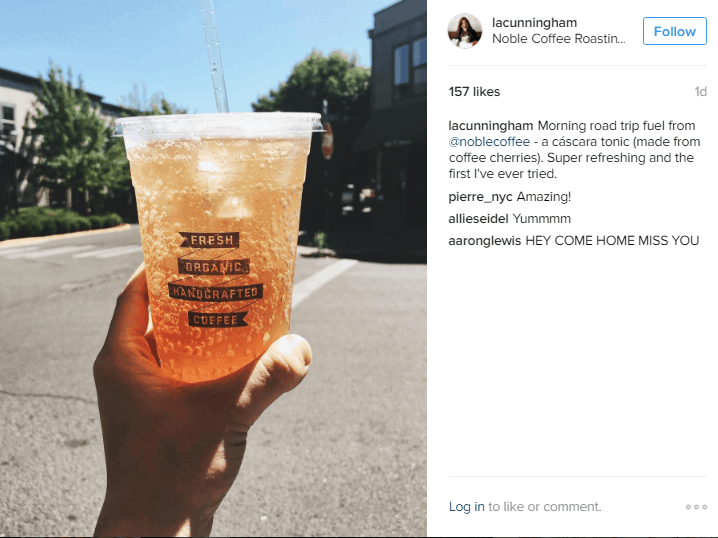 Marketing through micro-influencers really boost sales. Working with micro-influencers really proves to be helpful.